If your vehicle is 3 years old or more, it is a legal requirement for it to be MOT tested. At the Vauxhall Repair Centre, our team of experts are fully qualified to perform these tests, and it is their pleasure to do so using the latest equipment, in our brand new garage facility! 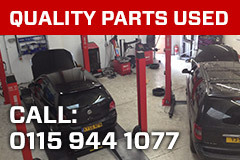 Our mechanics employ the latest equipment in order to find faults with your vehicle, and when found, they use their in depth experience and skills to identify low cost solutions to any problem which might arise during your vehicles MOT. 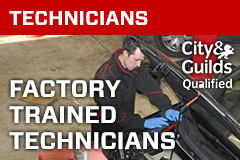 All of these aspects are checked closely, and can be fixed by our mechanics quickly, and at a reasonable price. So if you are looking for a garage you can rely on to offer the best MOT check, look no further than The Vauxhall Repair Centre, no matter what the make or age of your vehicle!